Crackers are delicious snack foods that you can munch on anytime and anywhere. Crackers voucher codes that can give you big savings are offered by various popular UK retailers. Using the latest cheap Crackers discount codes is an amazing way to get great value for your money. Deals from popular UK retailers would likely be on top of your options but you can also look for other great offers. Crackers are snack products that people love to eat most especially the children. You can buy them from B&M, Amazon, Sports Direct, and other reputable UK sellers. Get your favourite crackers at the lowest price possible! A cracker is a baked food that is made from flour. It is seasoned and flavoured to taste. Common flavourings of crackers are cheese, seeds, herbs, and salt. These flavourings may be sprinkled at the top or mixed to the dough. There are numerous cracker brands available today and you can buy them from convenient stores, supermarkets, and even online at very affordable prices. Crackers are snacks that are very convenient to consume. It can be eaten on its own or you can eat it with other food such as meats, dips, spreads, and cheese, among others. The holes that you can see in crackers are called docking holes They are placed to stop large air pockets from forming when they are baked. Crackers can be made in various shapes and sizes. In other countries, they prefer a more savory and salty flavour. Oyster or saltine crackers are often served with soup. Digestive biscuits, on the other hand, are eaten the way it is and it is often part of the diet of a person who wants to lose some weight. Crackers are very filling and you will feel full when you eat some. These are great food product when you are on the go. If you are looking for a delicious snack then you should buy some crackers. These snack items are great products to eat when you are on the go or if you are on a loose weight diet. If you want to save some money on the side Latest Deals is here to help you. 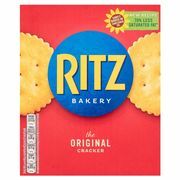 We have special offers on popular brands such as Ritz and crackers Jacobs from all online grocery shops in the UK. You can also find bargain deals on all imaginable flavours including favourites like cream crackers, saltine crackers, sweet crackers, and cracker barrel cheese. Our massive community of bargain hunters are always on the lookout to find the best cheap crackers sale, special offers, discounts, and price drops from major UK retailers. We also have a team of money-saving experts who regularly share essential tips and tricks that will be able to help you save on your instore and online shopping. 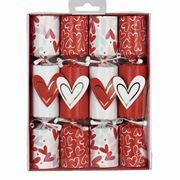 So whether you’re looking for Christmas crackers for the holiday season ahead, the best crackers for diabetics UK for your loved ones or the healthiest crackers UK offers, you’ll find it here without sacrificing your weekly grocery budget. 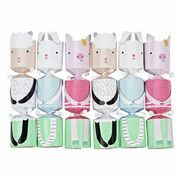 Most online UK retailers have sale events, seasonal clearances, and flash sales where you can get up to 40% off on a wide array of crackers. There are even 3 for 2 offers that can provide you with a lot of savings as well. Watch out for their Black Friday and Boxing Day deals where their prices are reduced even further. 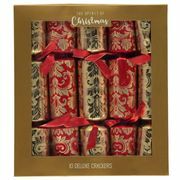 If you want to maximise your savings, make sure to use the latest crackers discount codes we have here. We also have voucher codes where you can get freebies or free shipping. Crackers are great food items and are a favourite of adults and children. You can snack on it when you are on break. You can even have it for breakfast together with a hot cup of coffee. There are lots of cracker flavours that you can choose from. Most UK retailers are offering them at very low prices to give more value for your money and you can find all of them at Latest Deals. Also, make sure to check the expiration date of the products you’re about to purchase most especially if you are buying food items. There are lots of brands to choose from. Their crackers also come in various flavours. Pick on that will suit your taste palate. Crackers are healthy snacks that will help you lose or gain weight depending on your goal. It is a good choice for snaking because of its nutritional content. They can help boost the intake of B vitamins since crackers make vitamin B absorption more efficient. This particular vitamin is essential in giving you energy. Vitamin B3 helps nourish your nervous system and makes your skin healthy. Multigrain crackers on the other hand are rich in fiber. They are typically made from white flour. It can help you reduce the risk of having cardiovascular diseases and type-2 diabetes. They are also a good source of iron. This will allow you to produce more functional red blood cells which are needed to transport oxygen in the body. It aids in DNA synthesis which is important for cell growth. 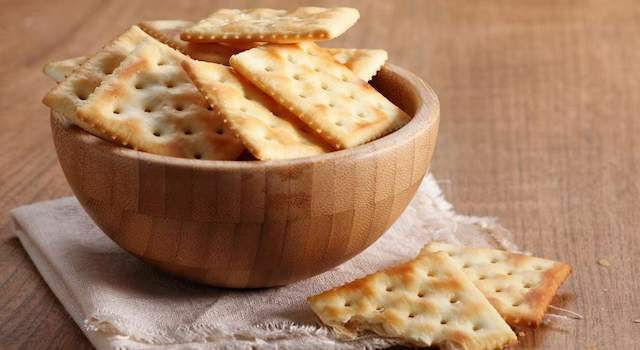 Since they are made from flour, crackers are healthy snacks that will make you feel full right away. These kinds of snacks are heavy in the stomach, you will feel full minus the guilt. It can help you fight hunger if you do not have time to eat a full meal. Nabisco Triscuit Baked Whole Grain Wheat Original. It contains 120 calories and 3 grams of fiber. The main ingredients of this crackers are whole wheat, oil, and salt. Kellogg’s Special K Sea Salt Cracker Chips. This is made from potato starch which is high in fiber. It is a great snack and a favourite of adults. Special K Multi-Grain Crackers.\ If you are looking for a healthy snack then this is what you are looking for. It only contains a few calories per serving which is great for people who are on a weight loss diet. Wasa Crispbread Fiber. It only contains 60 calories per serving. It has a very high fiber value. Its ingredients include bran, wheat germ, and whole grain rye. Annie’s Cheddar Squares. If you want a heavier snack with a cheesy flavour then you should snack on this one. It contains 150 calories which can help you feel full for a long time. Carr’s Table Water Crackers. It only contains 50 calories. It is a plain cracker that you can eat any time of the day. You can eat it if you want a light snack.